The first section of the trail is an easy-going and wide section of trail that goes past the ruins of one home somewhere on the left-hand side that was known as the “Withuisie” and two homes on the right-hand side, one of which was known as “Mita se Huis”. The latter was apparently one of the grandest homes on the property as a result of its wooden floors. 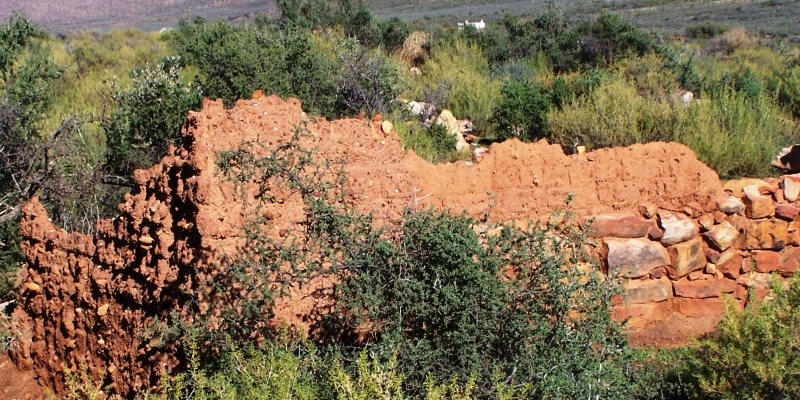 One then passes an old stone kraal, also on the right-hand side of the trail. After a watercourse crossing, one reaches a fork in the trail where the Eendamshoek and Driedamshoek trails split. 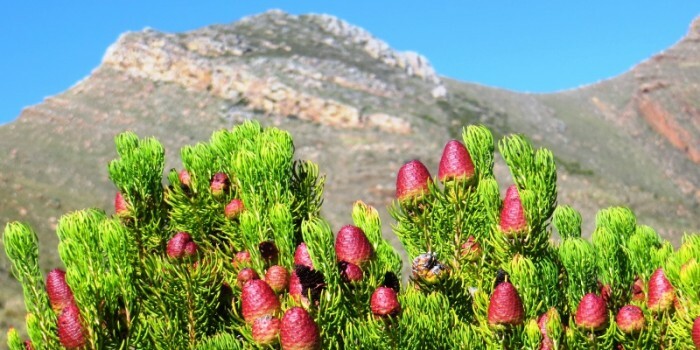 The highest peak along the central ridge between Eendamshoek and Driedamshoek is known as “Nuwejaarsneskop”. It is so named as there is a beehive from which the honey was obtained for making the honey-brew for the New Year festivities. Look out for grey rhebuck all along this trail. Straight ahead one sees the blue cliff-face known as the “Bloukam” (blue comb). Eventually the trail ends at the point where veld flowers were harvested and collected for transportation back to base.